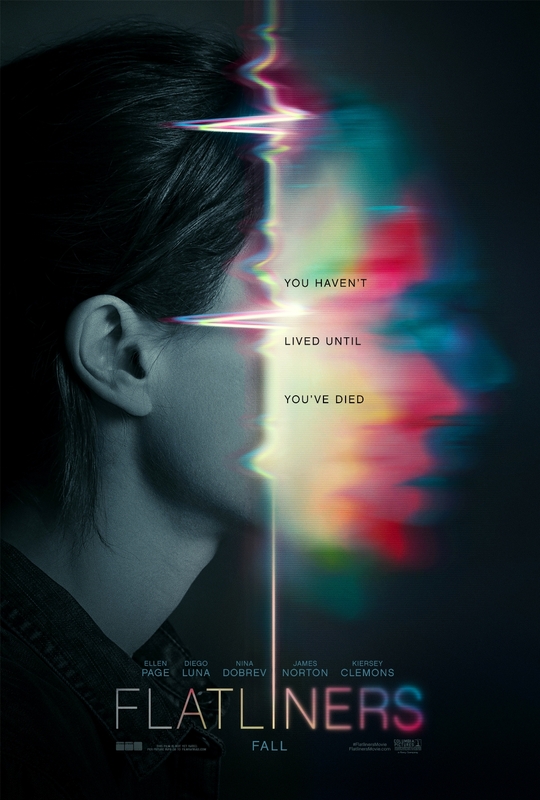 Flatliners Trailer Looks Awfully Cool, Still About Same Goofy Idea - Are You Screening? 27 years ago a bunch of big names got together with Joel Schumacher and made a fairly standard “vacation” movie. It was a screwball idea, but it was entertaining enough. For reasons no one can fathom, apart from some need to remake everything, we’re jumping into this well again, and while it looks really fantastic, that doesn’t change the fact that it’s a pretty goofball premise that no one was exactly looking to revisit. It looks fantastic in large part because it’s directed by Niels Arden Oplev. Rarely has there been a director that has managed to leave people scratching their heads so much over nearly a decade. Rocketing onto the scene (the American scene anyway) with 2009’s The Girl with the Dragon Tattoo, Niels then followed with the lackluster Dead Man Down, a pretty cool foreign film, Speed Walking, a few episodes of television, and now a remake of a 1990 cornball, sci-fi/horror bit of fluff. That’s an odd road. 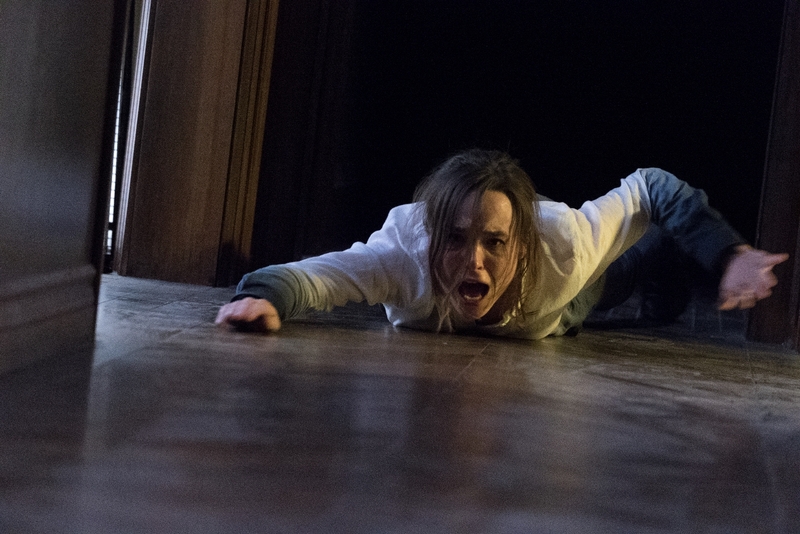 At any rate, Flatliners is coming your way, and now we’ve got a trailer and some images. 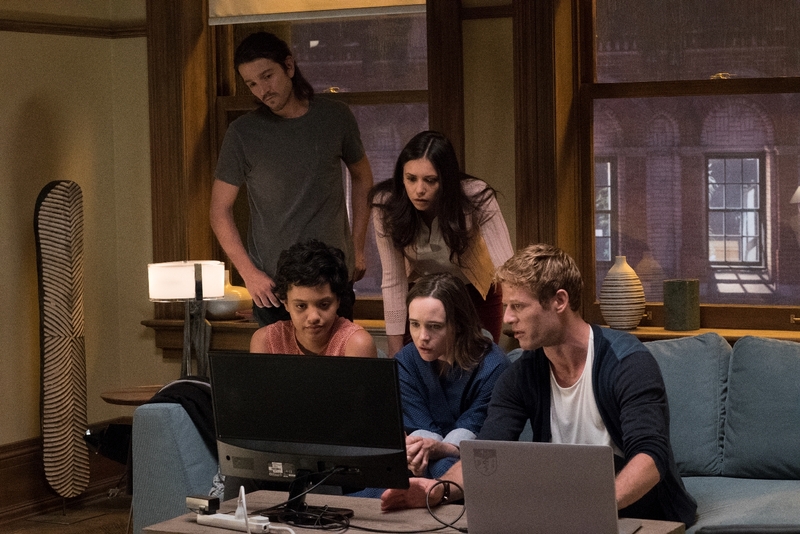 If you aren’t familiar with the original, the story revolves around a group of medical students who decide that they want some empirical evidence about what happens when we die. Without getting too complicated, because I imagine the movie won’t, they take turns stopping their hearts then charge the paddles and come back. They have some strange reports about what happens and then the real fun begins when they keep pushing the limits of how long they want stay “dead.” As things continue, they seem to have some strange positive effects, but eventually, things go sideways and get very creepy. 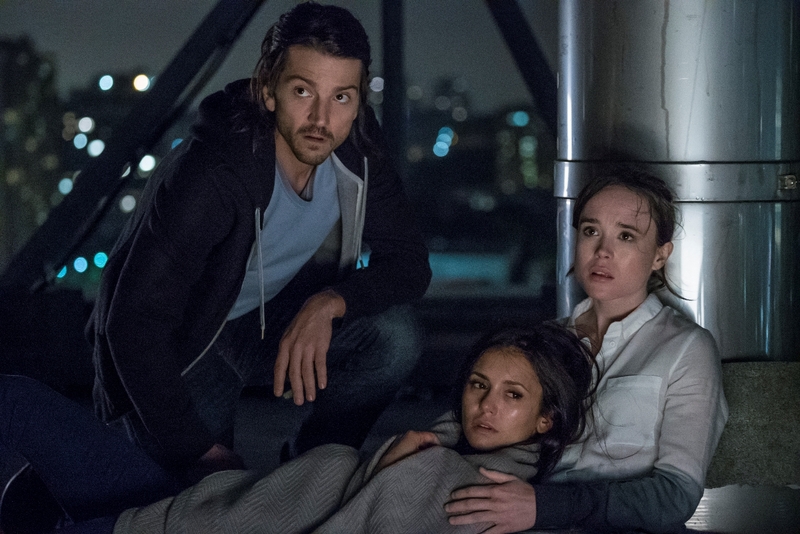 The film stars Ellen Page, Nina Dobrev, Diego Luna, and because the thing isn’t wacky enough on its own, Kiefer Sutherland. Have a look at this one and let us know what you think. Photo Credit: Michael Gibson – © 2017 CTMG, Inc.